I have been wanting to create Lunch Box Jokes for over a year now. I finally have completed my desire and goal. My kids love telling jokes for kids. They try to find jokes kids can actually understand. School for us started this past Monday. There were two things my kids were excited to bring to school that first day; a teacher appreciation gift and a lunch box joke. For school this year I compiled five jokes for kids each week to coorespond with 5 school days. These jokes have been tested on my 3 elementary age kids. They say they “get” all these jokes so my hope is that your kids will also. 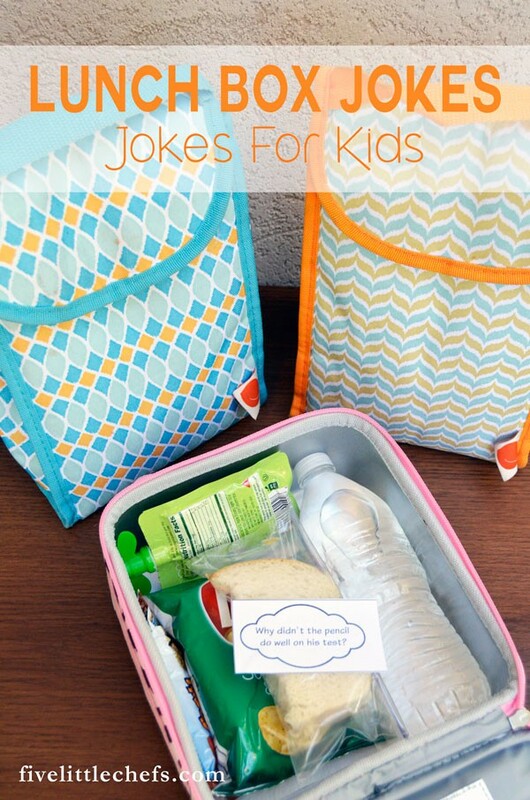 Print and cut out the jokes for kids. 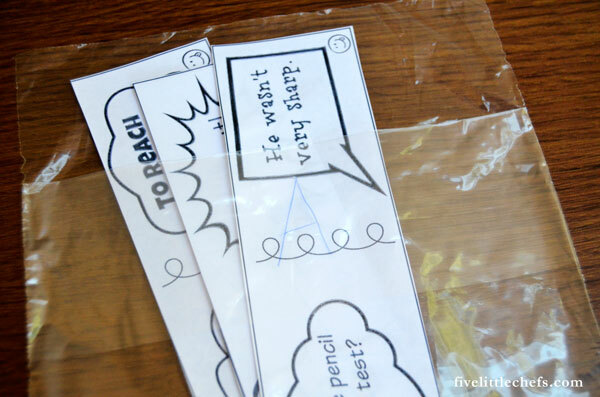 Slip the jokes into a labeled baggie for each child. This way you will not repeat any jokes during the week. 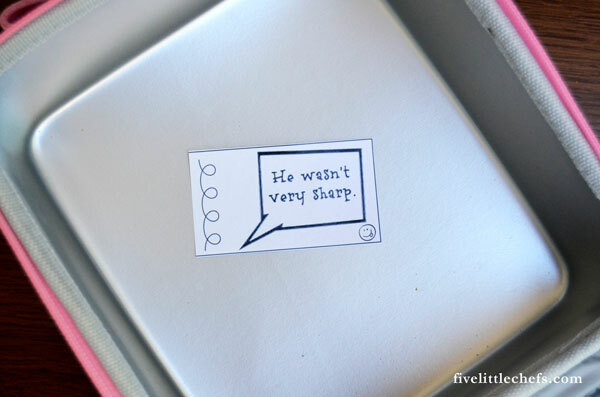 Each day pull out one joke strip. 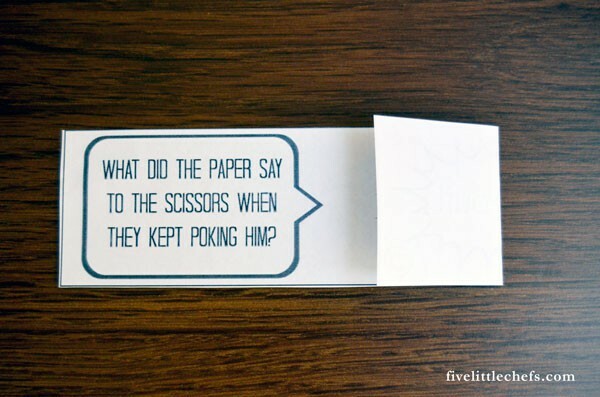 You can either fold the answer of the joke in half or cut between the question and answer. 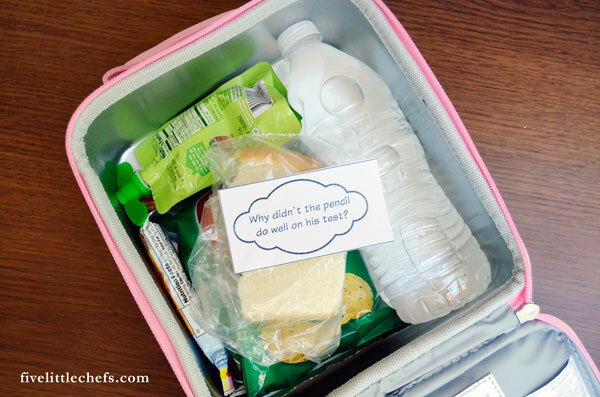 If you detached the question and the answer, when you or your child packs their lunch put the answer at the bottom of the lunch box. Place the question at the very top on top of the food. My girls have loved sharing these jokes with their friends at school lunch. Each morning they pack their own lunches (which they love). I see two of my girls picking the top joke in their pile, while I see another daughter going through the jokes and choosing the best one for that day. My kids love sharing the jokes more then having the joke be a surprise for themselves. That’s ok. What’s important is that they are having fun! 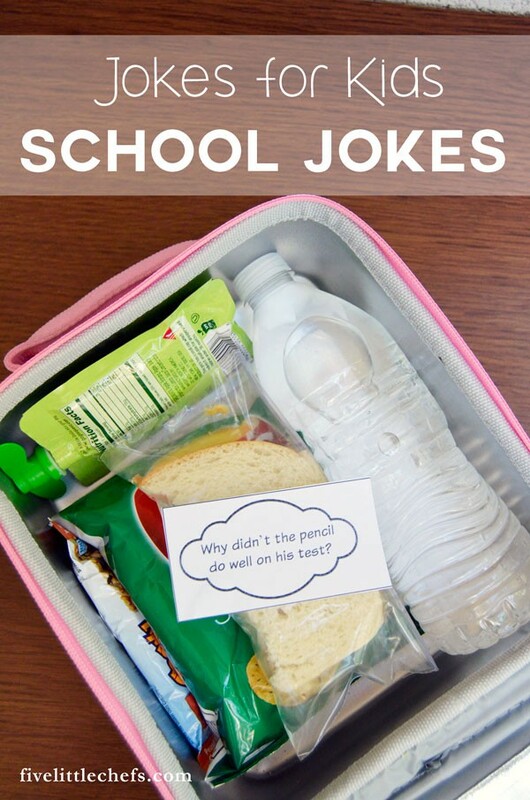 1 Reply to "School Lunch Box Jokes #1"
What clever idea for promoting chit-chat during lunch. Typically kids eat their lunch as quickly as possible in order to go outside and play on the playground. 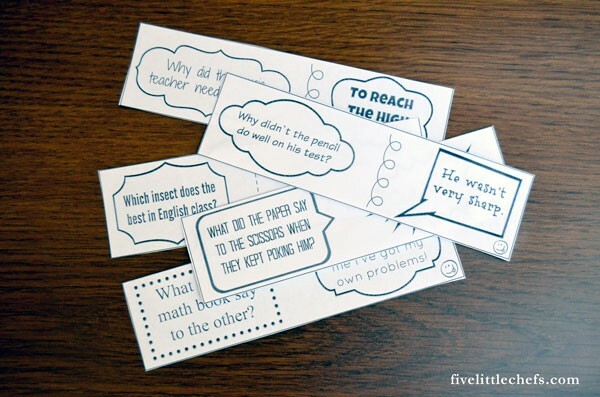 AND the jokes facilitate reading, memory, and problem-solving skills (they have to figure out the ‘joke’) in order to share the jokes with their friends.